Chinese film cultural week opens in California, U.S. 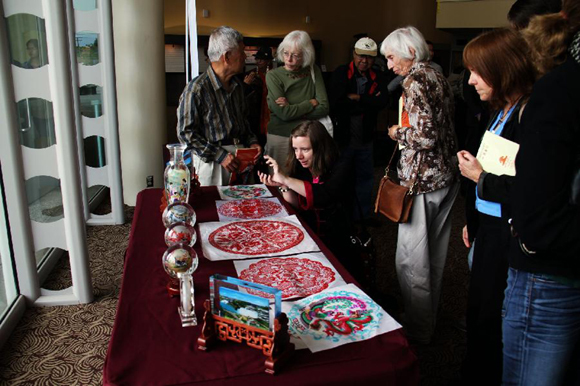 Visitors view intangible cultural heritages of north China's Tianjin Municipality during the Chinese film cultural week at Long Beach University in California, the United States, Oct. 20, 2011. The Chinese film cultural week, opened on Thursday in California, would show eight movies to U.S. audiences.